The Query Management module is designed to handle your customer payment queries and disputes, deductions and complaints. By mirroring and enforcing your query escalation workflows, as well as involving your entire organisation, Credica can quickly reduce the volume and value of your debt in query, by providing you with the information you need to identify root causes and turn queries into cash. We tailor your Credica system to suit the best processes to get your queries resolved, as quickly as possible. Additionally, the majority of the rules can be tailored by you enabling continual improvement in your query management processes. 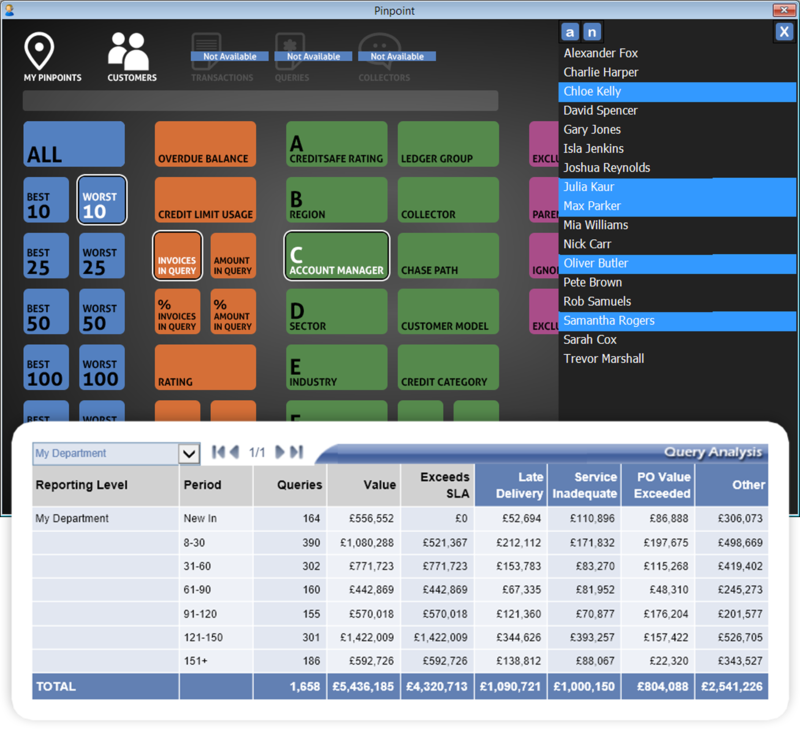 Queries are visible across the entire system, due to the tight integration with our Cash Collections module, using smart lists which allow you to focus on queries of particular type, age, value or any combination of things. 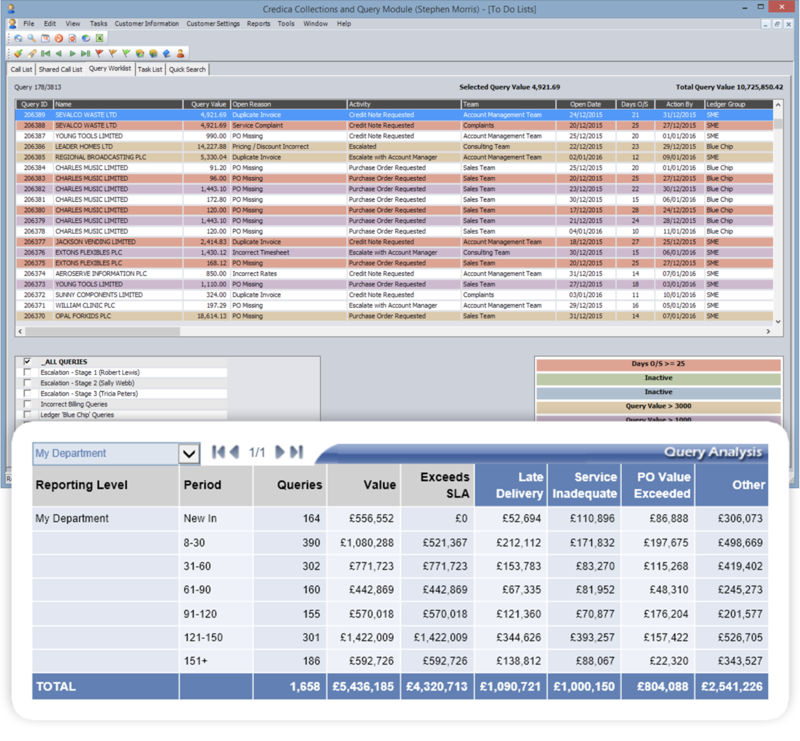 With features such as conditional formatting, export to Excel, unlimited files attachments and query aged debt, you will have detailed history, visibility and control over your customer queries. Send us a brief outline of the problems you would like a new Credit Management system to solve. We'll get back to you within 1 working day for a discussion.